No flounce. No flourish. Just simple prayer, together as children of God. That’s what we’ll be doing here at MargeFenelon.com this Lent. 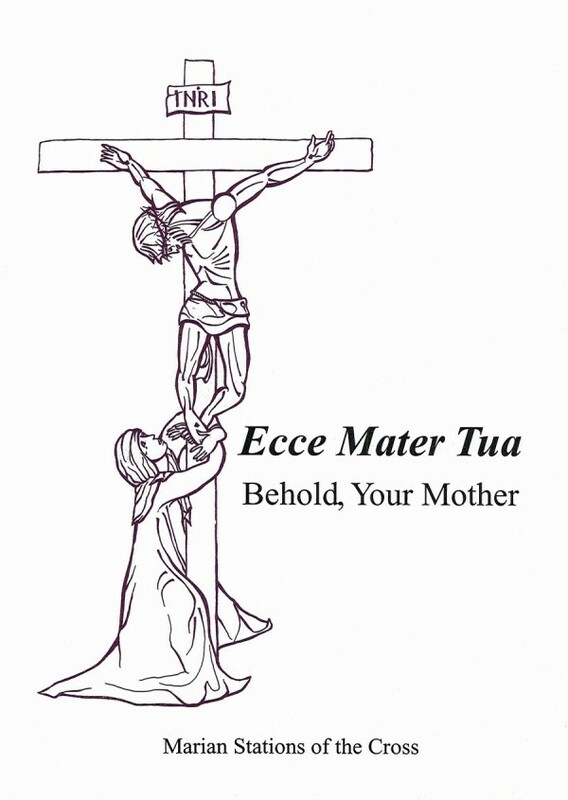 Each day from Ash Wednesday through Good Friday, I’ll be posting daily podcasts of Ecce Mater Tua – Behold, Your Mother: Marian Stations of the Cross, written by myself and illustrated by my husband, Mark. I would love for you to join us in praying them! But, we’re going to do it a bit differently from what you may be accustomed to. First, the podcasts will be very simple. No special effects or theatrics. Just straight-to-the-point, from-the-heart prayer. Second, we’ll be praying the stations slowly – one station a day – and spending the entire day meditating on that one station. When we’ve completed all fourteen, ‘ll begin again with the first station and so on. This will give us more time to go more deeply into every step our Lord took on the way to Golgotha. If you’ve already subscribed to my blog, you’re all set. The day’s station will arrive in your inbox each morning. If you’re not a subscriber, you’ll want to subscribe now so that you won’t miss out on a single station. I’m excited about this endeavor, and eager to spend Lent praying with you. Please do invite others to join us. Let’s make this the most prayerful, fruitful Lent ever! If you’d like to follow along in hard copy, you may purchase your own Ecce Mater Tua here.